Celine, our tea expert, has selected a wide range of teas : black tea, green tea, white tea, aromatic tea or flavoured tea, as well as infusions (oolong and rooibos), you will be spoilt for choice! 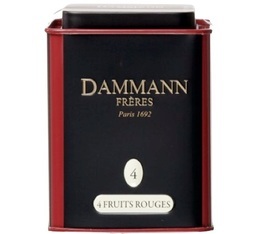 All the most renowned tea brands are available : Dammann, Comptoir Français du thé, Destination, English Tea Shop, etc. The boxes' beautiful designs make them great decorative objects. Rhubarb and red berry notes Sprinkled with cornflower and sunflower petals. 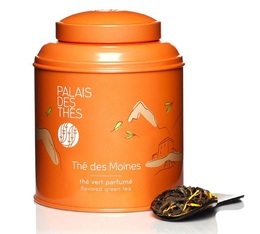 Luxury Darjeeling Himalaya Black Tea by Compagnie Coloniale - 100g loose leaf tea in tin. 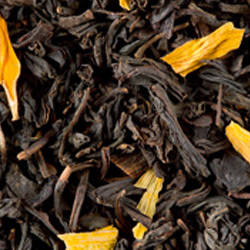 Vanille Chantilly flavoured black tea - 80g loose leaf tea - Comptoir Français du Thé.